A secret bank account in the name of Bellimissa has been opened in the British Virgin Islands (BVI) just prior to the MiG deal. According to the Financial Crimes Investigations Division (FCID) sources, the investigators who are dealing with the procurement of MiG-27 fighter jets to the Sri Lanka Air Force have managed to locate the account. The account has been opened in 2006 just before the deal. Leak documents in Colombo Telegraph‘s possession confirms that their was no company called Bellimissa in the UK. According to the International Consortium of Investigative Journalists the BVI has harbored perhaps 850,000 offshore companies (as much as 40 percent of the world total), with 450,000 of them still active. Sri Lankan government has paid US$ 10.078 million for four MiG 27s in 2006. Two of these fighter jets were grounded after being purchased and unserviceable during the warranty period. 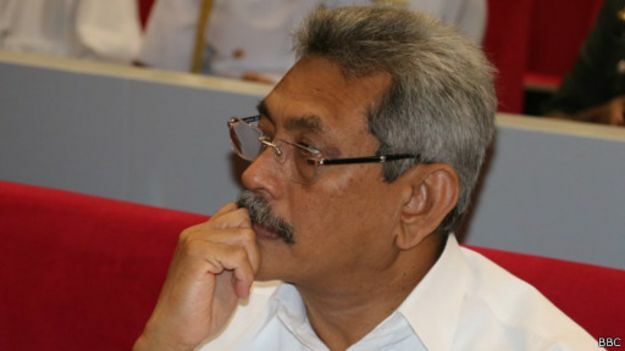 As Colombo Telegraph reported last week, when the FCID questioned, the former secretary to the ministry of defence Gotabaya Rajapaksa said the purchases were done in a proper way. When subjected to deeper questioning he said the person responsible for all those matters was Air Marshal Roshan Gunatileke, who was the Air Force Commander at that time. Gotabaya said that the former Air Force Commander was responsible “if there were financial irregularities.” He said he was not to be blamed for that. He said people should realize that the war was won because these fighters were there and there should not be any investigations into these matters. In the process Gotabaya forgot that as then functioning Secretary of the Ministry of Defence, he was the Chief Account Officer and was responsible for all financial transactions. When the MiG deal fell into media spotlight in December 2006, it was highlighted that so-called government-government deal involved payment to a mysterious third party, Bellimissa Holdings, UK. Bellimissa was in fact a ghost company that did not exist in any form in the UK. Even London address it had provided to the Defence Ministry was false. Confirming the media reports, last month, the Interpol Headquarters has reported to the the FCID that there was no company called Bellimissa Holdings Limited in the UK. It was revealed in the front page report of The Sunday Times dated 03.12.2006 that four MiG 27s purchased in 2006 had been on the market for several years. They had lain in disuse since 1991 and were repaired by Lviv State Aircraft Repair Plant before being sold to Sri Lanka. In fact, in 2000, three of these planes had been rejected by SLAF on two different occasions. Firstly on May 25, 2000, when the SLAF purchased four MiG 27 aircrafts at US$ 1.5 million each, and next on October 24, 2000 when two more MiG 27 aircraft were purchased for US$ 1.6 million each. Thus, it appears that these very same MiG 27 aircraft had earlier been rejected by the SLAF in 2000 were purchased in 2006 at a cost of US$ 2.462 million each. On the basis of The Sunday Times news report on March 11, 2007 Mangala Samaraweera and Sripathi Sooriyaarachchi, two key minsters who broke away from the Rajapaksa government made complaint to the Bribery Commission alleging corruption part of the Presiden’ts brother Gotabaya Rajapaksa. Following the complaint the Ministry of Defence issued a statement on March 22, 2007, titled “MiG 27-Inside Story”. This statement is false in many aspects. On of the main issues is the MOD refers this procurement is as a deal between the producer government ( Ukraine ) and the Government of Sri Lanka. This statment is false for the following reasons. Ukrinmash from SLAF purchased these aircrafts is the self-supporting Foreign Trade Investment Subsidiary of UKPSPETSEXPORT – the State company responsible for the export of military products. Such organisation does not fall within the parameters of a government to government contact. Under a Government to Government deal, monies must be paid to the relevant bank account of the Government or a Government Institution. The MiG purchase monies were not paid to a bank account of ukrimash in Ukraine either. Instead payments were made to the account of UK company named Billimissa Holdings. Belimissa Holdings Limited is a party of the contact sign by the MOD. So the MOD is deliberately lied to the public to cover up this fraud. Udayanga Weeratunga, a first cousin of the former President Mahinda Rajapaksa, who had allegedly involved in arms sales to separatist rebel fighters in Ukraine, was the main broker of the MiG Deal. In February 2006, Udayanga Weeratunga was not Sri Lanka’s ambassador to Russia, but a Sri Lankan citizen resident in Ukraine. There was nothing to distinguish him from any other Sri Lankan apart from being a first cousin of the Rajapaksa brothers. Records from the guard room of Air Force Headquarters indicate that Weeratuna visited the SLAF headquarters no less than 25 times to meet air force officials. Defence Secretary Gotabaya Rajapaksa filed legal action against The Sunday Leader newspaper to prevent further exposure of the corrupt deal. The investigative reports on the MiG deal proved to be one of the last reports on controversial defence purchases under Gotabaya Rajapaksa’s reign in Sri Lanka’s mainstream press. After The Sunday Leader editor Lasantha Wickrematunge was killed, the newspaper was purchased by a Rajapaksa family friend Asanga Seneviratne. The Sunday Leader, on March this year apologised to Gotabaya Rajapaksa for a series of articles written in the newspapers in 2006 on the purchase of MIG 27 aircraft for the Sri Lankan Air Force. The unqualified apology was carried in The Sunday Leader newspaper of 8.3.2015. It was all arranged by Udayanga Weeratunga, former Sri Lanka Ambassador to Russia and first cousin of Rajapaksa. This clearly shows that Weeratunga, who stands accused by the Ukranian Government of selling weapons to pro Russian separatist rebels was operating hand in glove with the former President and his brother, Gotabaya Rajapaksa, former Defence Secretary. First of all the findings of Lasantha did not vanish, it is at the right place and it will come out at the right time – he is not a fool to keep it after knew his end. Second, leaving MR and co in loose will be a huge mistake – so it is advisable to lock them. Either MR and co should keep be quiet or face the consequences. In modern fight the one attack first will win – showing sympathy is very costly. Mithiri should act quickly without showing sympathy to his old friend. Do not leave injured snake- remove its teeth. god punished premedasa for that.For some reason god has not yet punished lasantha’s killers.Maybe god for some reason wants to keep them alive for some more time as they are needed to live for some reason which god only knows,but when that is over he will finish them off too.They can’t escape the wrath of god. Iam reminded of hitler who chortled whenever assassination attempts against him failed”i’am immortal”.It would have been better for him if thy had succeeded because i can imagine the pain of having shattered dreams in that bunker before committing suicide.Now the once aggressive europeans who invaded the rest of the world are very docile after what hitler did to them.God used hitler for a purpose and disposed of him like a used condom. God didn’t punish because your god is dead. Wrong,wrong,wrong. 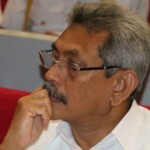 Gota’s case against Sunday Leader WAS NOT FINISHED. The apology came after MR lost. 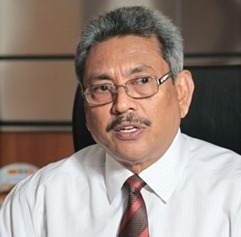 Gota was to be cross examined by the SL lawyers after his evidence was led under oath. He swore under oath that MIG deal was Govt to Govt.Now he does not want to face cross examination so he got SL new management Asanga to apologise.Go to hard talk with Sakur at Gota’s height of power and arrogance. He swore to shut down SL through his case. Why settle after MR lost? No control over Judges????? later. These animals particularly MR & GR are dangerous to be free among the community. through legal means.The wounded animals are waiting to take revenge. What is Colombo Telegraph’s answer to the explanation now provided by former Defence Secretary Gotabaya Rajapakse? He had explained in a press statement dated 03 June 2015 that when Ukranian manufacturers made the offer they specifically stated that the offer was being made in conjunction with a financier providing financing to the manufacturer and the beneficiary of the letter of credit will be the financier. The financier Bellimissa was made a party to the contract for the purchase of the MIG aircraft. He has further explained that Chandrika government purchased MIG aircraft not directly from the manufacturer but under a contract with a Singapore company. Gota has also explaibned that the former UNP government approached Ukraine government in 2006 for the purchase of MIG aircraft and they were also told that a third party financier will be involved in any MIG sale deal. There is nothing new in companies being set up in British Virgin Islands as it is a tax haven and most multi-national companies set up entities in tax havens and channel their businesses through these entities to escape tax. Tax haven is a big issue for tax authorities all over the world and any tax professional will tell you that. British Virgin Islands, according to Wikipedia, is a significant global player in the offshore financial services industry and that over 45% of the world’s offshore companies were formed in the British Virgin Islands. No wonder that Bellimissa Holdings Limited was set up in British Virgins Islands. Some places described as tax havens specialize in certain activities. British Virgin Islands specialize as an off-shore tax free financial centre. Likewise Bermuda which is also described as a tax haven specializes in the re-insurance field. This Colombo Telegraph story is sourced to Financial Crimes Investigations Division (FCID). This leaked misinformation by FCID clearly shows that Ranil government is on a witch hunt targeting those involved in the Mahinda Government. Not only the Rajapaksas should be taken to task, but also those who post comments to cover up should be dealt with for misleading the public. What was your payoff and to which account ?? These b……. are worst criminals on earth. If he is as innocent as he is tell him to go on a trip to Geneva, The Hague and US. His wife dog was travelling 1st class on Sri Lankan Airlines ( because its his grandfathers private property); and foolish Nagas like you still hero worship him.No wonder he revoked his US citizenship. Quite correct. The witch hunt must be accelerated and all rouges under the previous regime should be dealt with. The legal system exists to punish criminals. Free expression of views, for or against people in the dock cannot be or should not be suppressed.